â��Falcon Doors & Windows Pvt. 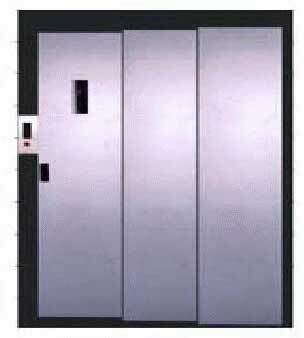 Ltd.â��, specializes in superior quality Telescopic Doors that are fabricated from high grade stainless and mild steel. Keeping customer satisfaction as our ultimate motto, we subject our supreme telescopic doors to stringent quality check standards in which they are tested for chemical resistivity and smooth surface finish. Available in two or three panel variants, these doors have created a huge rage demand for themselves in market. The easy availability and reasonable pricing of our doors have placed us among the major telescopic door manufacturers and suppliers in India.